Why Invest In United Kingdom Property? The latest census shows the UK’s population has increased by a record 7% (4 million) in the last decade to just over 63 million – which is almost equivalent to adding the entire city of Manchester every year. In the next 20 years the number of UK households is expected to reach 28 million - an increase of around 250,000 households each year. During the same period, single person households will increase by a further 3.2 million – accounting for 20% of all households - placing an even greater demand on available housing stocks. The UK is now more crowded than any other major country in the EU or G8. With 402 people for every square kilometer, our population density is four times that of France and in the next 20 years will be double that of Germany – a country, which is almost three times larger ours. The latest Government estimates suggest that around 232,000 new properties need to be built in England every year just keep pace with demand, however the number of new homes being built is now at the lowest levels since the 1920’s. The UK is a country rich in cultural identity and natural beauty. This, combined with the nation’s historically stable economic and political environment, is encouraging to many investors. Green meadows, snow-capped mountains, moorlands and lakes are natural attractions that blend with countless monuments, traditional pubs, cream teas, theatre, arts, cinema and music to bring year-round tourists from all corners of the globe. The tourist market creates opportunity for investors into related real estate, particularly in London and many other national tourist hotspots. A large number of direct airline services to the UK’s major national and international airports are available from many worldwide locations. An excellent road and transport infrastructure allows easy access to your final destination. Many people, unable to pay current mortgage rates, seek to rent property instead, creating a ready market for buy-to-let investors today. In 2008, UK rental yields averaged 6.4% per annum, offering steady rental income to add to capital growth upon eventual resale in the long term - investors willing and able to wait, will benefit from an inevitable market upturn in the future. Since 2002, demand for rental property has almost doubled. Recent forecasts suggest that by 2016, one in five UK households could be living in rented accommodation, resulting in a requirement for an additional 1.1 million rental properties in the UK. The property market of London is a hot favourite with Singapore’s affluent investors. About 97,000 properties in England and Wales are owned by overseas firms, and Singapore is among the top 10 countries owning properties. 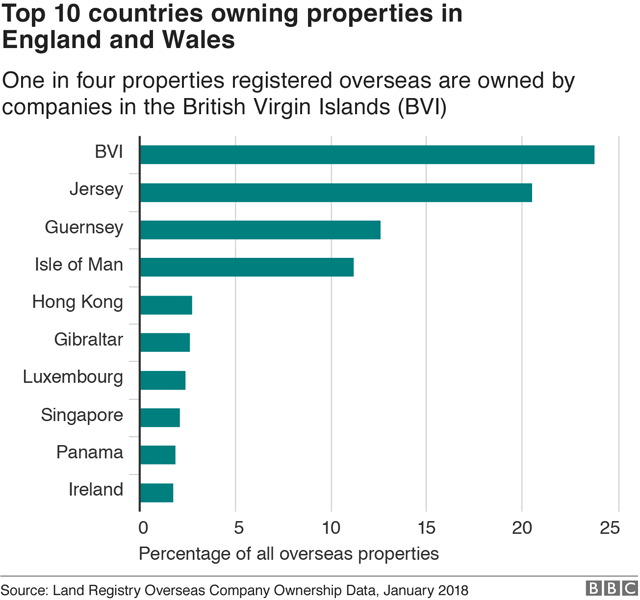 The BBC made this analysis after the United Kingdom’s Land Registry made its data on Commercial and Corporate Ownership and Overseas Companies Ownership available at no cost. There is a ‘wide range’ of reasons why investors might choose to hold property offshore, but the London property market has historically been a very open and accessible market for international investors. ​It is also not unusual for investors to use intermediate centres to pool capital with other investors in collective structures (such as funds and real-estate investment trusts), to diversify their asset allocation across a wider range of projects and opportunities. ​Foreign buyers led by Singapore and Hong Kong snapped up 3,600 of London’s 28,000 newly built homes between 2014 and 2016, the research said. About half of these homes were priced between £200,000 and £500,000.More than 70 per cent of the homes bought by foreigners were as rental investments and in 15 per cent of cases, the properties were bought by companies. The London Mayor said that the Government would give local people “first dibs” on new homes, but stressed that “international investment plays a vital role in providing developers with the certainty and finance they need to increase the supply of homes and infrastructure for Londoners”. London has always been seen as a safe haven for very wealthy foreigners to “park their money”, and for years they have been attracted to London homes as a stable investment. Finding the right investment property in the UK is much like finding the right property anywhere in Singapore or around the globe. Once you have identified a property that you’re interested in purchasing, travel to the UK and inspect it. Photos can be misleading and can make rooms appear larger than what they are. In addition, you can never be sure of the area the property is in until you visit it yourself. You must also look at the demographics of the area and choose areas with high property ownership where the people are mostly working professionals. Failing to look into all avenues might result in you purchasing a property which isn’t attractive to renters and may affect the return that you receive. Interested buyers hoping to jump onto the London property investment bandwagon will likely finance their property purchases with a bank loan. Capitalising on this, banks are already rolling out mortgage packages exclusively for the London market. One bank for example, introduced 3-month SIBOR-pegged loans in Singapore dollars for such property purchases. Borrowers have to be Singaporeans or Singapore Permanent Residents (PRs) only. Specifically, the bank’s London mortgage package allows borrowing of between S$300,000 to S$3 million, with a maximum of 70% loan-to-value (LTV) ratio. The loan packages often come with a lock-in period of one year. During this period, partial or full repayment will be subjected to a penalty charge of 1.5 per cent of the outstanding loan amount. Loan cancellation will be subjected to a penalty of S$1,000 or 1.5 per cent on amount cancelled or undisbursed, whichever is higher. Loan tenure can be anything between 5 to 30 years with a cap of 70 years. Similar to Singapore home loans for the island-city’s properties, the packages are available for building-under-construction projects, but only a progressive payment scheme is allowed. However, for refinancing, the property must be completed. Very importantly, do take note that there is a call on margin if the LTV rises to 8 per cent and above. When this happens borrowers will be asked to repay part (above the monthly installment amount) or all of their loan.